Black Independent zip hoodies with silver ink Ween logo on front and Boognish on back. 100% cotton. Great hoodie. It’s thin, but fuzzy and warm. Seems to be of good quality. Would buy again. Great product. Worth every single penny. Fast shipping and super easy to deal with. Nice lightweight hoodie mang. 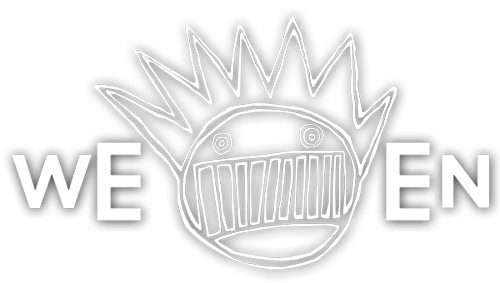 I like Ween. 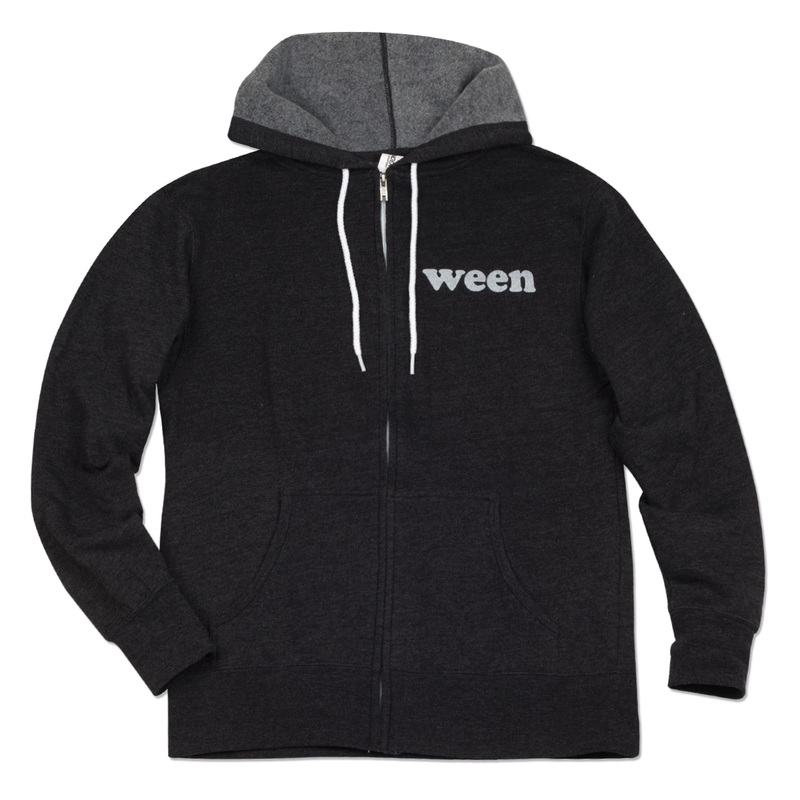 This hoodie is not 100% cotton - it’s a 55/45 polyester/cotton blend on heather black. That aside, looks good, feels good. Please amend item description for discerning Ween brand shoppers! Cozy... 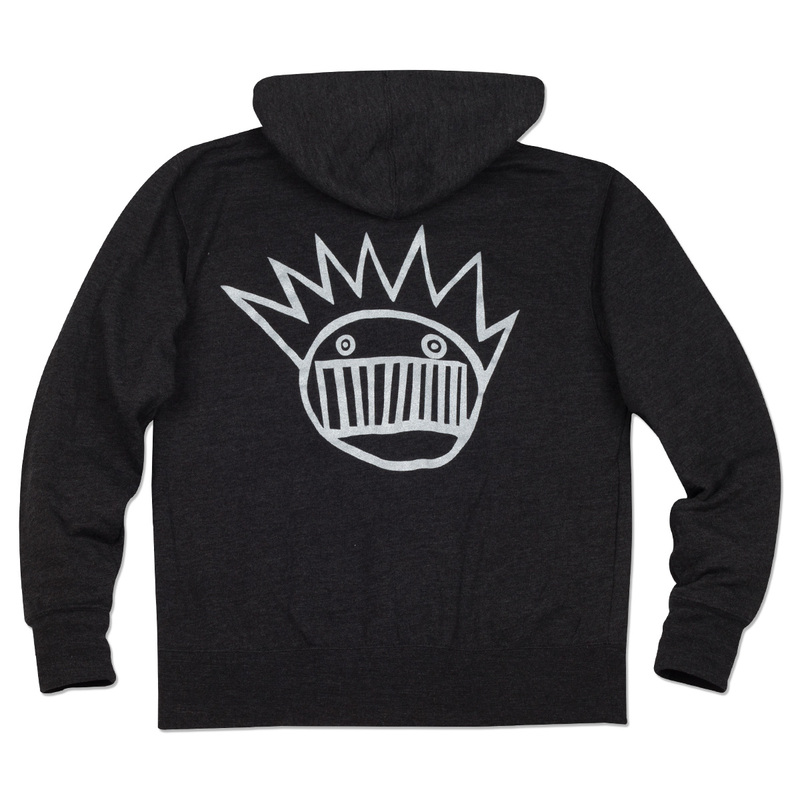 I feel engulfed in the love of boognish. It is a little tight, more hipster style, so you may want to order a size up, otherwise it will just highlight your glamour muscles for all to see.